Atlas moth has a 12-inch wingspan. Alaskan brown bear is 13 feet tall. Ostrich is 9 feet tall. Giant anteater is 7 feet long. Dwarf goby fish is 1/3 of an inch. Giant squid is 59 feet long and its eyes are 12 inches across. Giant birdeater tarantula is 12 inches across. Saltwater crocodile is 23 feet long. Goliath frog is 36 inches long with legs extended. Great white shark is 21 feet long and its teeth are 4 inches long. Mouse lemur is 23 ½ inches tall. Siberian tiger is 14 feet long. Goliath beetle is 6 inches long. African elephant is 13 feet tall. Pygmy shrew is two inches long. Number the index cards and add one task to each card. Tailor your tasks to fit the ability level of your students. Here are some examples. How many inches are three atlas moths lying side-by-side? What is the difference in height between the Alaskan brown bear and the ostrich? How many inches are four Goliath tarantulas lying side by side? How many feet is that? What is the difference in length between the giant anteater and the saltwater crocodile? What is the difference in height between the African elephant and the gorilla? When you read the book Actual Size by Steve Jenkins, you will undoubtedly hear comments from your students such as, “Cool," “Gross" or “Awesome!" This cleverly illustrated book about some of the world’s largest and smallest animals includes the measurements and some basic information about select animals. 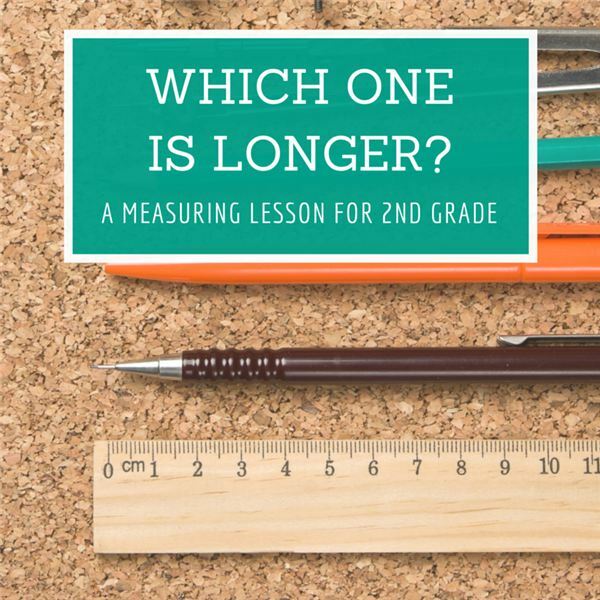 After reading, your students will visualize the sizes of these animals using the provided measuring tools. For a few animals (such as the 59-foot giant squid), you will need extra space, so you may want to use a multi-purpose room, playground or hallway. Lay a pencil down at your starting point. Measure to the correct point and lay a pencil at the end point. Use a file card to label the name of your animal. Come to me and I will help put a strip of masking tape the length of the measured area. When completed, everyone gathers to view and discuss the work. Compare lengths of different animals. Then move to the playground or multi-purpose room to work as a group to measure the giant squid and saltwater crocodile. Would two saltwater crocodiles equal one giant squid? Students may work individually or in pairs to complete 10 task cards. Lay the task cards face down on the floor or large table. Take one card at a time then return the card and choose another. Write the card number on a piece of paper. Show your work and the answer next to the card number. After a predetermined time, gather the students to check the answers. You may also find this lesson plan helpful, Move Those Feet! Measuring Activity for the Elementary Classroom. Jenkins, Steve. Actual Size. Houghton Mifflin Company, 2004.